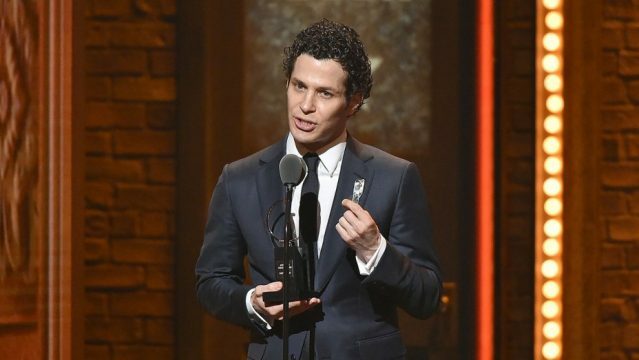 From Broadway to the silver screen, Deadline is reporting that Hamilton‘s Thomas Kail has signed on to direct World War II pic Silver Wings for Fox 2000. Based on Katherine Sharp Landdeck’s nonfiction novel, The Women With Silver Wings, the true-life drama chronicles the remarkable journey of WASP – that is, the Women Airforce Service Pilots who became the first female pilots in history to fly for the U.S. military during the throes of WWII. It’s an awards-friendly pitch, and one that evokes memories of last year’s NASA drama Hidden Figures for all the right reasons. For despite their inspiring bravery and courage, the American government outright refused to acknowledge the WASP’s contribution to the war effort until 2009, when a decades-long legal battle came to a head when those Silver Wings were rightfully granted the Congressional Gold Medal and, ultimately, honored as military veterans. Thomas Kail is currently on board to develop Silver Wings but all signs point to the director stepping into the cockpit himself. Michael Sugar will produce for Fox, though all is still quiet on the casting front. United in a special sisterhood, these trailblazing women broke social norms while bravely serving their country. After the war, the U.S. government refused to officially recognize the WASPs, denying them veteran benefits and burying their legacies. Only in 2009, after a decades-long battle, are the women’s WWII contributions finally honored, when they are granted the Congressional Gold Medal and officially recognized as military veterans. After dabbling in America’s War of Independence for Hamilton, Thomas Kail is now poised to journey back in time once again for Silver Wings. The project is still in the nascent stages of development, but we’ll notify you if and when more information comes to light.